The event director has closed online registration for this event but you may register at our packet pick-up event at Holy Family Academy (10580 Pineview Road, Manassas, VA) on Friday, September 29th between 3-8pm OR on race day at the Signal Hill Park Pavilion beginning at 7:45am. 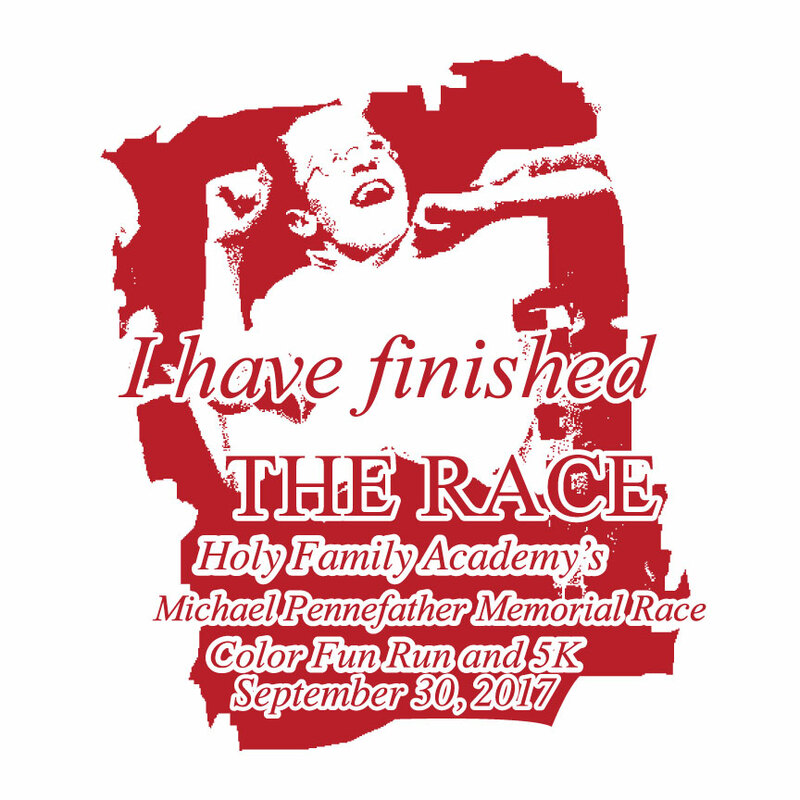 Please join us to honor Michael and raise money for Holy Family Academy! Michael Pennefather, a student of Holy Family Academy, died at age 12 after battling multiple illnesses and disabilities. He colored the world around him with his infectious smile, optimism and joy for life. This fun and family-friendly event is an opportunity to remember a remarkable young man, encourage fitness at beautiful Signal Hill Park in Manassas, and raise necessary funds for on-going projects at Holy Family Academy, the school Michael loved. Michael could truly say, "I have finished the race!" This event will follow the Color Fun Run/Walk. The gun will sound at approximately 9am. Participants may run or walk the course; we ask those planning to walk to start at the back of the pack so those competing for time can go first. The course is entirely within the grounds of Signal Hill Park, along trails (much of it paved) and around grassy playing fields. The course is mainly flat and fast with little elevation change. The terrain is not suitable for strollers. Participants will loop the course two times. Volunteers will be stationed throughout the course for assistance and there will be a water station. Prizes will be given for the top three Male and Female finishers. Prizes will also be awarded to the top Male and Female finishers in the following age groups: 0-9, 10-14, 15-19, 20-29, 30-39, 40-49, 50-59, 60-69, 70+. ** NOTE: Your results, along with a Finish Line Photo will be emailed/texted to you on race day! This non-competitive event will be held before the 5K. The gun will sound at 8:30am for the Color Fun/Run Walk and participants will walk or jog through a semi-wooded, grassy area where color stations will 'blast' them as they pass. All of the stations are set up so participants may avoid large amounts of color; the 'blasters' are trained to aim for your shirt, as much as possible. The color is both powder and liquid based and WASHABLE. We recommend you wear the race t-shirt, sunglasses and perhaps head covering. We also recommend you bring a towel or blanket for your car seats, just in case. Jogging strollers are welcome, but they are not easy to maneuver on grass. Note: there is no distance specified, rather participants will have approximately 15 minutes to enjoy the color fun! Participants from last year highly recommend warming up with the Color Fun Run/Walk prior to the 5K or just coming out for this part of the race! Hugely popular!! PACKET PICK-UP will be available on FRIDAY, September 29, 2017 from 3-8pm at our campus, Holy Family Academy, 10580 Pineview Road, Manassas, VA.
We encourage you to save time on the morning of the race and pick-up your packet early! Race day packet pick-up and on-site registration will begin at 7:45am at the Signal Hill Park Pavilion. EARLY REGISTRATION discount is available until 9/4/17, Enter the code EARLY17 to receive $5.00 discount per registration. Holy Family Academy appreciates the support of sponsors! Your donations help us maximize income from this event and allow us to continue to provide outstanding classical education for so many children. Sponsors will be highlighted on our race t-shirts and our website. We are happy to include your promotional materials in our race bags. 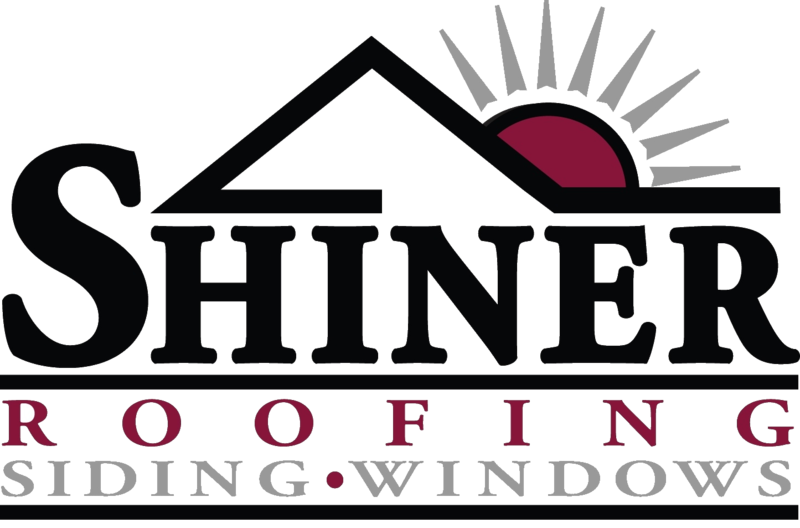 This is a great way for you to build your business and help Holy Family Academy, too! NOTE: Holy Family Academy is a non-profit 501(c)(3) organization. Your generous donations are entirely tax deductible. Please Contact Sally Crocker at 703-789-1922 or email fundraising@holyfamilyacademy.net for more information. NEW this year: Do you have a group that would like to partner with our fundraising effort? Teams, schools, running clubs, alumni organizations and any other group are encouraged to 'Create a Team' and invite your members to register under your team. We will reward your group with incentives and give generous cash prizes for the Largest Team and the Fastest Team! Please call Sally Crocker at 703-789-1922 or email fundraising@holyfamilyacademy.net to learn how you can earn money for your cause while helping ours. I know that running and walking in competition is a strenuous and potentially hazardous activity. I understand and assume all risks associated with participating in this event including, but not limited to, falls, contact with other participants, race officials, volunteers, spectators, sponsors or race directors or any of their staff or bystanders, the effects of weather, including snow, ice, rain, heat and/or humidity, traffic, altitude, road and surface conditions, or the effects of the powder and liquid colors if participating in the Color Fun Run, all risks being known and appreciated by me. I further understand that this event is a fundraiser for Holy Family Academy and therefore no refunds will be given if I am unable to participate or the event is cancelled for any reason. Having read this waiver and knowing these facts, and in considering your accepting my entry, I, for myself, my heirs, and anyone entitled to act on my behalf, waive and release Holy Family Academy, Manassas Park City and Park Authority, RaceWire, Sponsors, the employees, officers, agents and directors of these organizations, and any other organization or individual associated with this event and representatives and successors before, during and after the event, from all claims or liabilities of any kind, but not limited to death, personal injury or property damage arising out of my participation in the Michael Pennefather Memorial 5K and Color Fun Run, even though that liability may arise out of negligence or carelessness on the part of the person named in this waiver. I hereby consent to receive medical treatment that may be deemed advisable in the event of injury, accident, and/or illness prior, during or after the race resulting from my participation in the event. I grant permission to all the foregoing to use any photographs, motion pictures, recordings or any other record of the event for any legitimate purpose.